Team Lincolnshire returns after successful trip to MIPIM 2018. Team Lincolnshire has returned from MIPIM, the world’s largest property event, with a list of leads and contacts to follow up – and now the hard work really begins. 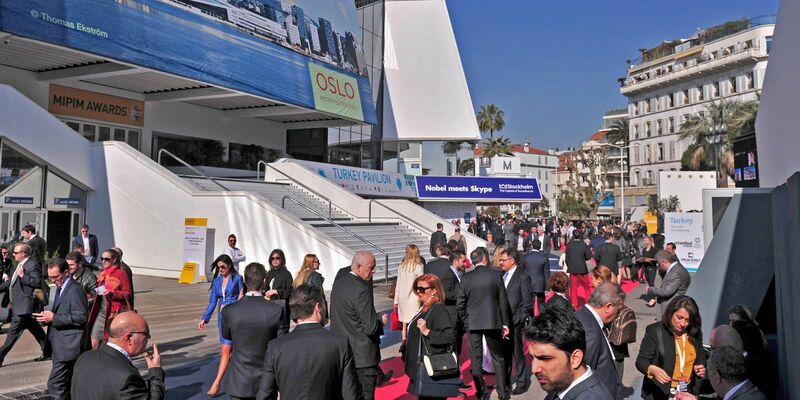 MIPIM is held every year in Cannes and attracts around 27,000 from across the globe. At MIPIM, you will find thousands of cities, regions, countries and large corporate organisations all rubbing shoulders with one another and eager to make contacts and follow up strong leads. Lincolnshire, along with its Midlands counterparts, took its place for the second year in the Midlands Pavilion – a showcase of all that the East and West Midlands has to offer. The pavilion sits side by side with Manchester and London. Team Lincolnshire includes the Greater Lincolnshire LEP, ten Lincolnshire local authorities and 26 sponsors from across the region's property and construction industry. The aim is to showcase Lincolnshire’s opportunities on the global stage and specifically highlight a number of key development sites. Justin Brown, Enterprise Commissioner at Lincolnshire County Council, spoke before a packed room of delegates at the Midlands Pavilion to highlight the fact that the three Food Enterprise Zones are central to Greater Lincolnshire’s economy. Lincolnshire’s Wednesday brunch kicked off #LincolnshireDay– a day packed with Lincolnshire-focused events and seminars. The brunch attracted a number of investors and developers keen to find out more about Lincolnshire – and drew the biggest audience yet in the three years it has been running. Councillor Colin Davie from Lincolnshire County Council and LEP board member for Team Lincolnshire told an audience of around 200 that Lincolnshire was excellent place to do business. Representing Lincolnshire were: Pygott and Crone, Roythornes, LK2, Building Services Design, YMD Boon, Woodhead Group, BSP Consulting, Fraser Brown, Cartwright Communications, Willmott Dixon, Delta-Simons, William Saunders, Gleeds, Couch Perry Wilkes, Lindum, BE Design, CPMG, Dynamic Lincoln, Globe, Invest Gainsborough, North East Lincolnshire Council, Morgan Sindall, Besa, RizkMcCay, Core Architects and Stirlin.